Its Wear Orange Wednesday (WOW)! 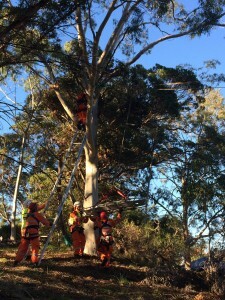 A search and rescue demonstration will be held at Murdoch University. The simulated search will involved the mounted section, all-terrain utilities (ATUs) and a tyrolean (zipline), showcasing the vast skills and competencies of SES volunteers. To show appreciation for SES volunteers, iconic locations around the State will be lit up in a brilliant orange including Elizabeth Quay, the Bell Tower and Perth Concert Hall.